Top 10 Indian IT Companies To Work For – Let us see a list of the companies that are regarded as the best in the IT sector. Information Technology (IT) sector is one of the most-in-demand job sectors in India. Millions of students study engineering and most of them opt for a job at a software company. A few of the Metro cities like Hyderabad, Bengaluru, Mumbai, and Gurgaon are the top choices for all IT aspirants. These cities have immense job opportunities. And students flock to these regions like birds to feeding ground. AT the same time, the competition for IT sector jobs is really high, as is obvious. Here, we have listed a few of the Top 10 Indian IT Companies To Work For. Please note that the origin of some of these companies may not be based in India. However, they have their centres in India, where a number of talented and dynamic individuals work. Google is the most desirable company for all the IT job aspirants. But securing a job in this company isn’t that easy. Not only does it have attractive salary packages, but they also offer a creative and nurturing work environment. Employees have access to a lot of benefits and perks. As cited in Glassdoor, the average salary of a software engineer at Google is around Rs. 14 lac per year. As an HCL employee, you can expect to get an average of Rs. 4 lac per year as salary. They have a strong workforce of around 115,000 employees. It has got a strong appeal with customers and clients. The perks provided are decent. The average salary of a software engineer at Microsoft is Rs. 12 lac per year, as cited on Glassdoor. The growth opportunities and perks are attractive too. L&T provides innovative IT services to their clients. Their employees get an average of Rs.5 lac per annum, as cited on Glassdoor. And they also provide other perks and benefits. Hewlett-Packard (HP) basically deals with printing products and solutions. If you see Glassdoor, you’ll see the average salary of software engineers at HP to be around Rs. 6 lac per year. You can get decent perks and benefits here. It is the first Indian IT company to be listed in NASDAQ. They, basically, deal with research and development in the areas of education, health, and technology solutions. The average software engineer at Infosys draws around Rs.5 lac per year. They offer decent perks and benefits to the employees. As a Software Engineer, you will get around Rs. 11.5 lac per year, as cited on Glassdoor. Apart from the highly attractive packlage, you will also have multiple opportunities for growth and promotion. It all depends on your innovativeness and work. Cisco offers a healthy and friendly work culture. Aside form its many perks and benefits, their employees also draw attractive salaries. As cited in Glassdoor, Cisco offers Rs. 8 lac per annum on average to their software engineers. You can expect great job perks and benefits at Amazon. The only downside might be the work schedule and intense competition, according to your mentality. As cited on Glassdoor, a software engineer draws an average salary of Rs. 12 lac per year. You might not believe it but securing a job in Tech Mahindra is quite easy. You just have to be confident and good in writing as well as aptitude problems. Only a few basic IT questions may be asked. As far as the company scenario, they basically deal with helping clients transforming their business to a more integrated and robust model. At Tech Mahindra, the Software Engineer draws an average salary of Rs.4 lac per year. You can expect decent perks and benefits. These are some of the many IT companies that students dream to get a job in. We have tried our best to include the best ones, as told by their employees, in this list. 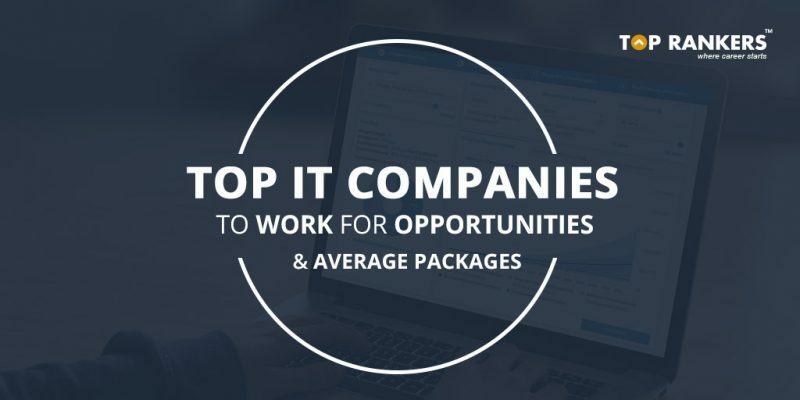 So, tell us, did you find our post on Top 10 Indian IT Companies To Work For – Opportunities | Average Packages helpful? Then, keep visiting us regularly for more IT job salaries and opportunities. And please share your views and experience in the comments section below.